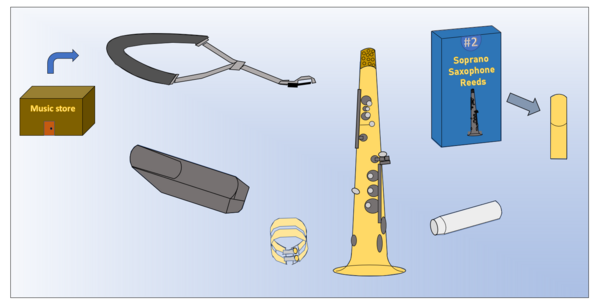 Are you a prospective soprano saxophone player? 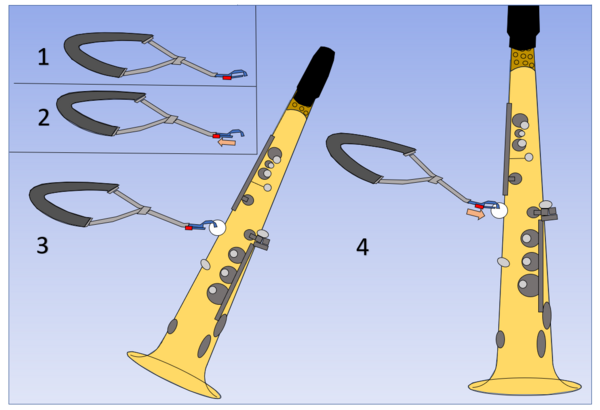 Whether you have experience playing wind instruments or are just picking up one for the first time, these instructions will help you know how to get started with the proper technique. Playing the soprano is a rewarding experience and can be useful in situations ranging from classical music to smooth jazz. If that’s not enough, studies show that learning to play a musical instrument has positive cognitive and health benefits, and may even lower your risk of developing dementia. 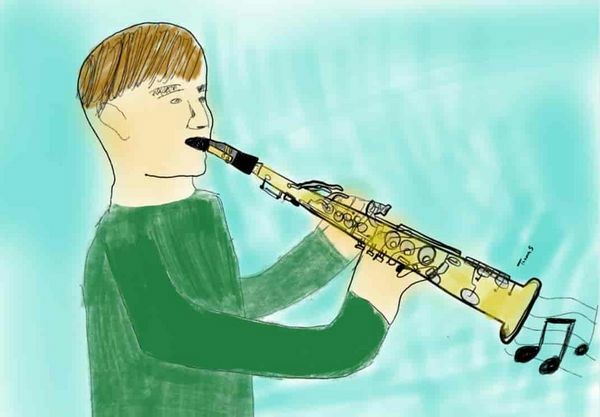 While you won't become Kenny G. overnight, there are some fundamental steps that will help you to start out on the right foot and build the foundation you will need to begin your journey. Dedicated music stores provide the best selection of new and well-inspected used instruments and are highly recommended for making sure you have a properly functioning instrument and are starting out with all the necessary materials. If purchasing from eBay, Craigslist, or any other similar second hand source that is not a dedicated music store, it may be best to have the instrument inspected before you start playing it. There may be any number of unexpected issues that will slow you down and potentially cost you extra in repairs. 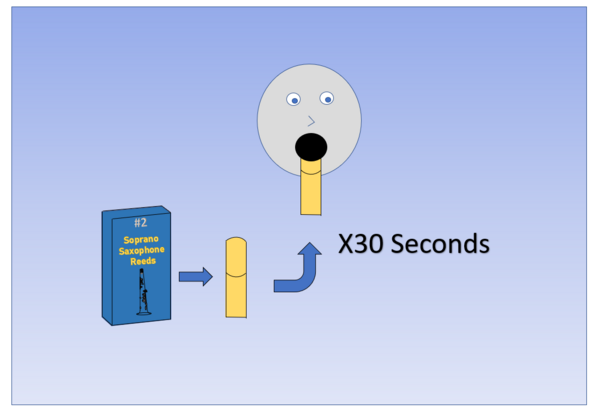 Let it incubate in your mouth until moisture from your mouth absorbs through the full thickness of the reed. It’s normal to notice a wooden taste at this point; try to appreciate the flavor. While you wait, consider it may have come from as far away as the southern coastal regions of France, Spain, or even Argentina. 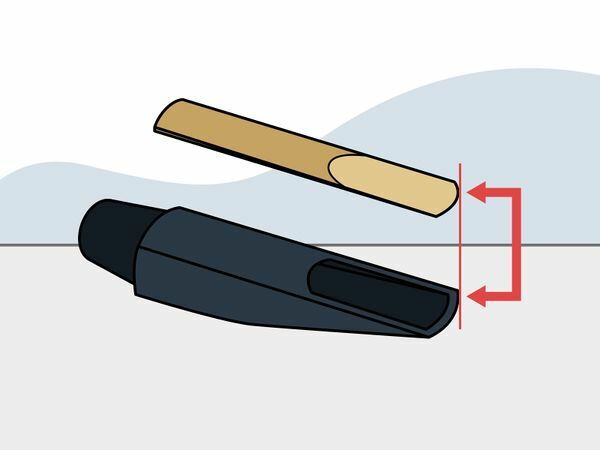 You need only moisten the front half of the reed. This will allow it to better vibrate and produce sound more freely later in the process. 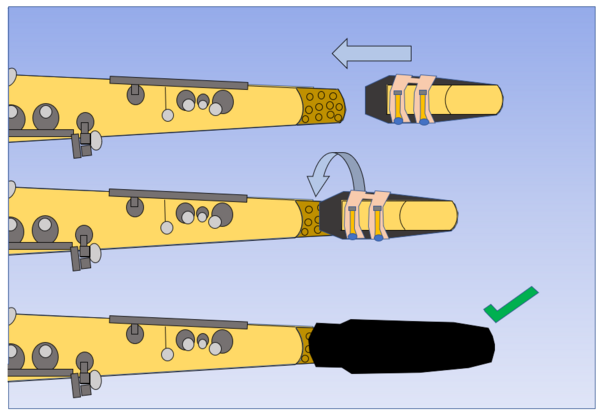 Note that your reed should not have any cracks in it; while a damaged reed will not harm you, it will harm the ears around you, as the soprano will occasionally produce shrill squeaking sounds from time to time. 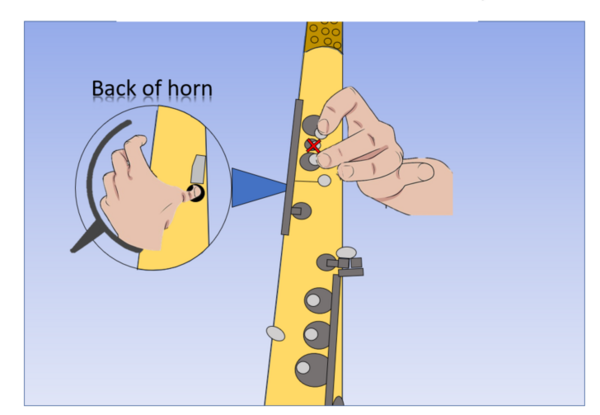 This is one of the most crucial steps for ensuring your instrument will produce sound. 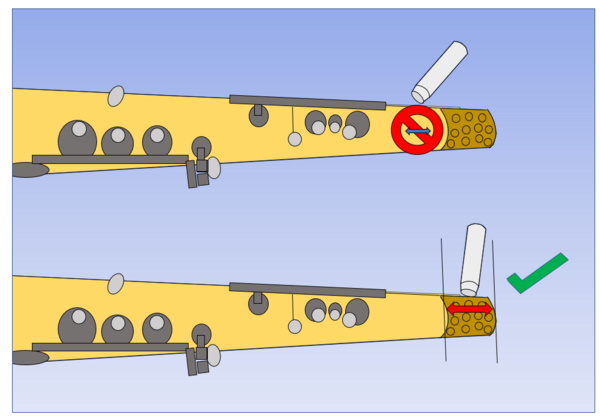 The ending ridge of the reed must align with the tip of the mouthpiece with no overhang. The screws need only be finger-tight. 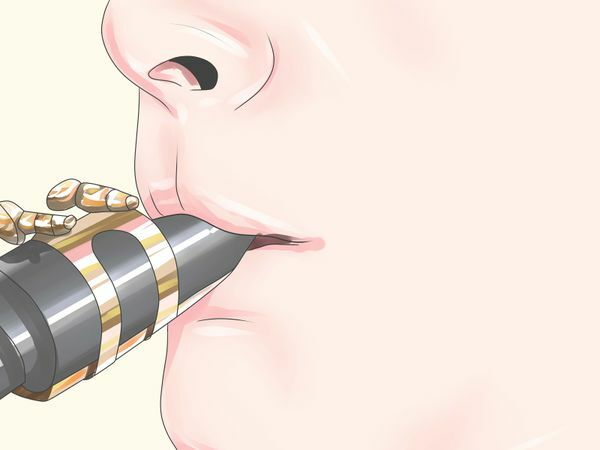 Besides looking deviously like chap stick, cork grease will decrease the friction when you slide on the mouthpiece and hopefully keep you from being that unfortunate person who can’t get their mouthpiece off their instrument. 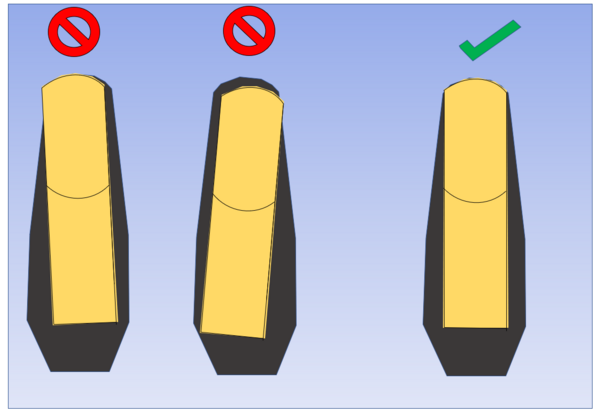 Do not push the mouthpiece past the cork wrapping entirely; the end of the mouthpiece need only be pushed about half-way down the cork wrapping. 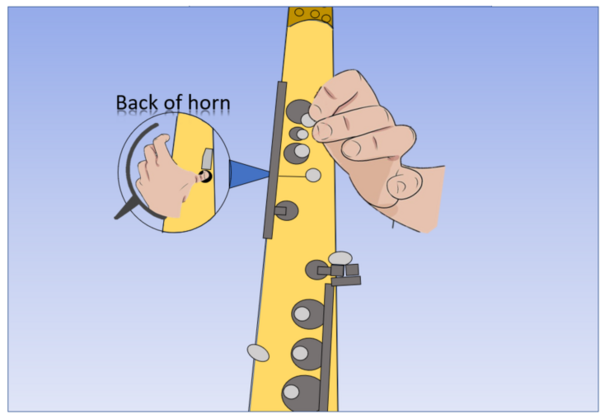 Your index finger starts the sequence, then middle, then ring fingers consecutively as you place each finger further away from you down the horn. You do not need to worry about skipping keys. 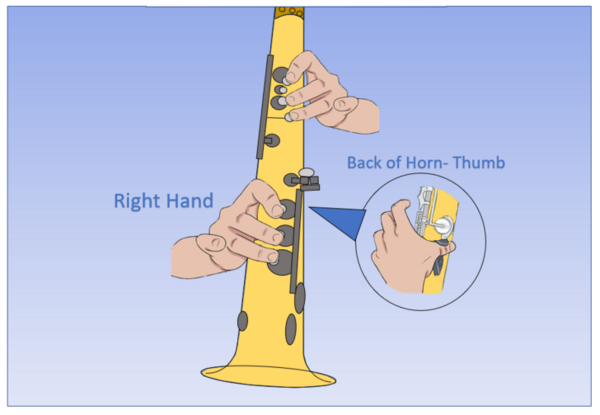 Your right hand thumb will be placed parallel to your left thumb, but farther down the horn on the side of the horn facing you. 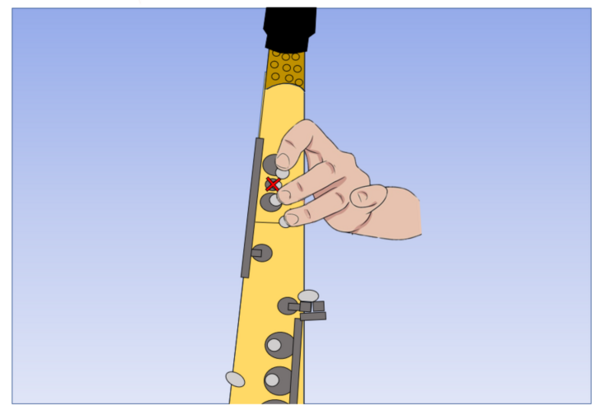 Do not let your bottom teeth touch the reed; this will damage it. 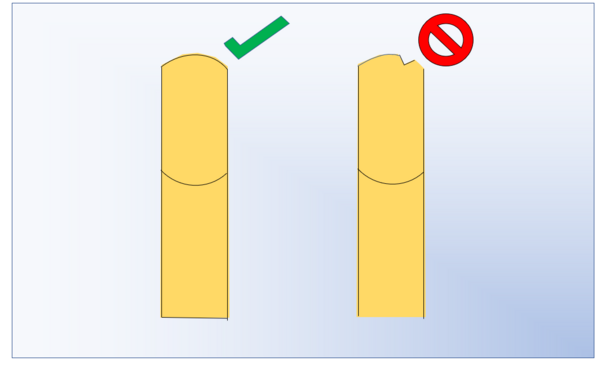 Fold bottom lip inwards over bottom teeth and tighten cheeks around the sides to hold the mouthpiece in. This will produce a C# note. The tone, or timbre of your instrument will sound harsh without warm air. 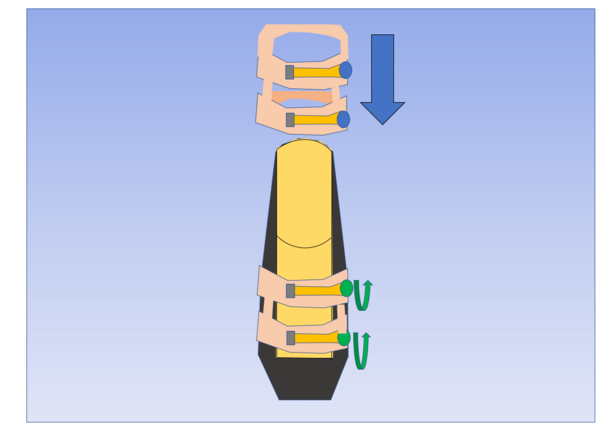 This is amplified on the soprano versus other saxophones of lower registers, as the smaller body of the soprano makes it temperamental.